Digitalization has brought numerous changes in Vietnam since the first Internet connection in 1997, enabling the country to obtain a series of socio-economic achievements, mostly the sustainable development goals (SDGs). Nothing else but connection in all parts of the country and among classes in the society helps Vietnam move forward in a path that catches up with the global transformation, experts from the United Nations Development Program (UNDP) said at the Vietnam Internet Forum 2019 (VIF19). In the first years of the Internet connection in late 1990s, Vietnam spent time and money in the governance, mostly in managing the national data. The things have changed with the application of broadband. Digital technologies enable many innovation opportunities from digital government, big data and analytics to improvements in digital connectivity, inclusiveness, and accessible education. 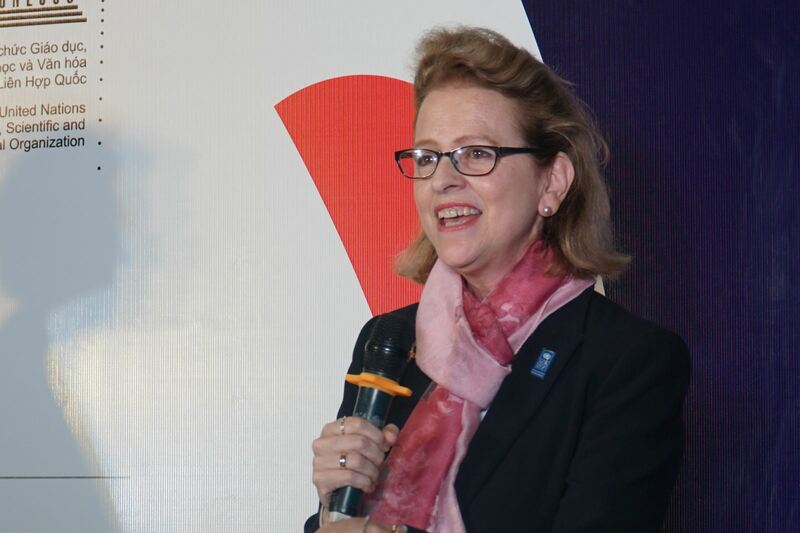 Obviously, the connected society with the participation of private sector, academia, and media is needed for the greater good of society, serving as a driver for the socio-economic development, according to Resident Representative in Vietnam Caitlin Wiesen. To some extent, interactive technologies has exhibited social impact startups, young social entrepreneurs and frontier experts on innovation, demonstrating how we can accelerate learning to achieve the SDG’s through experimentation, fast feedback loops, and knowledge sharing, said Sean O’Connell, Innovation Officer, UNDP. What should Vietnam do to adapt to digital economy? To better obtain SDGs, Vietnam should show its strong politic commitments through policies that drive the country forward, Caitlin Wiesen addressed. The government should complete legal framework and allow experimentations to solve pressing social and environmental challenges. Accordingly, Vietnam is advised to address four key emerging factors in order to pursue its development path. Firstly, defining new growth pathway which should focus on technology-based production to make more value, promote trade, and benefit local businesses, enabling Vietnam to become an economic hub in Southeast Asia. Secondly, private sector should be given a bigger role in the economy where they are able to expand their businesses and generate more jobs. Thirdly, forming new governance forums which allow individuals to engage in experimentation and creativeness with triple A, including “Anticipate” to predict new trends, “Adapt” to new technologies and the globalization amid fast digitalization with an aim to make the economy more effective and therefore, benefit people more, and “Agile” to encourage new things to move forward and integrate into the globalization. Fourthly, providing people with skills and advanced technologies aims to better ensure their interests, including social welfare, and leave focus on gender equality and development in all parts of the country, mostly remote areas to make sure that leaving none behind. Caitlin Wiesen said that Vietnam is the typical model for the success of the SDGs and the country would obtain more achievements with the application of AI, chatbot, and e-government. Meanwhile, Sean O’Connell, lead of Governance and Participation Unit of UNDP Vietnam, said that encouraging startups and youth would be another way to accelerate the achievement of the 17 UN Sustainable Development Goals. For example, Youth Co:Lab Vietnam 2018 in partnership with Citi Bank is a program supporting Vietnam’s next generation of social entrepreneurs through training and incubation. In 2019, UNDP will launch the new Accelerator Lab which aims to promote experimentation to solve pressing social and environmental challenges to accelerate the learning. The lab will bring together stakeholders from government, private sector, investors, technology leaders and civil society organizations in all stages of generating, adopting and adapting new digital innovations to make sure nobody is left behind in the era of Industry 4.0.